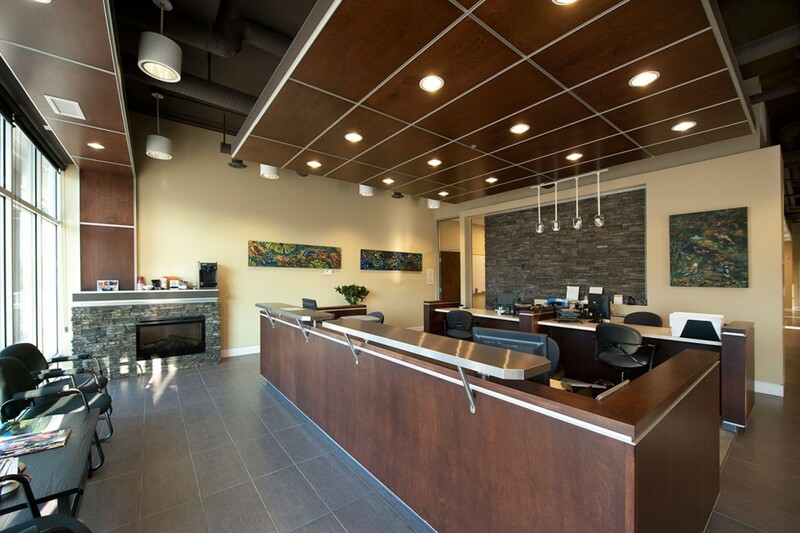 This 3,900-square-foot renovation for Wilson Beck Insurance offices is located in a new mixed-use building on Springfield Road in Kelowna. The owner purchased this new shell space to provide room for expansion as well as to upgrade the appearance of their growing business. 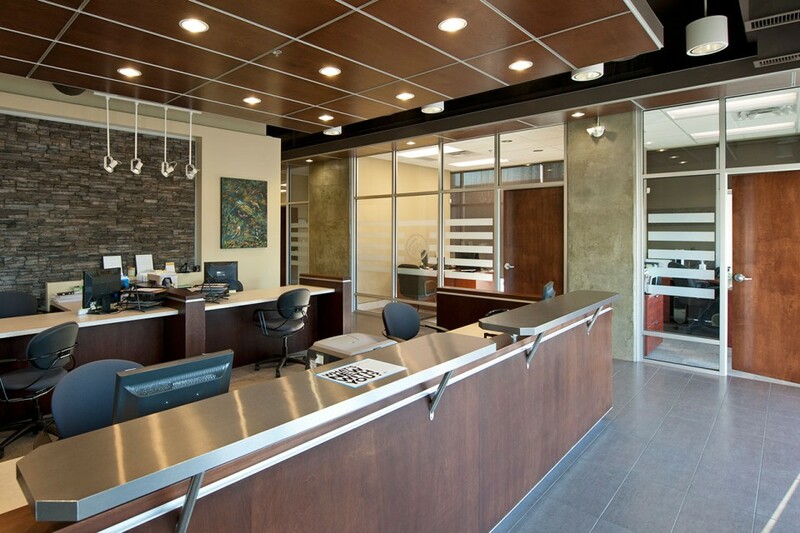 Meiklejohn Architects created a design concept to reflect WBI’s company energy and philosophy. 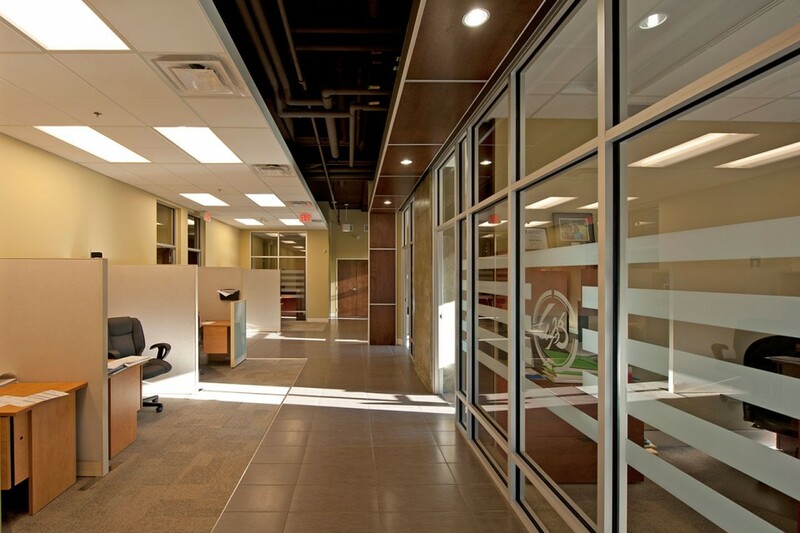 The open modern plan uses warm wood finishes at the main reception counter and within the public spaces, as well as large, glazed walls between the corridor and the private offices to provide a more transparent office environment. 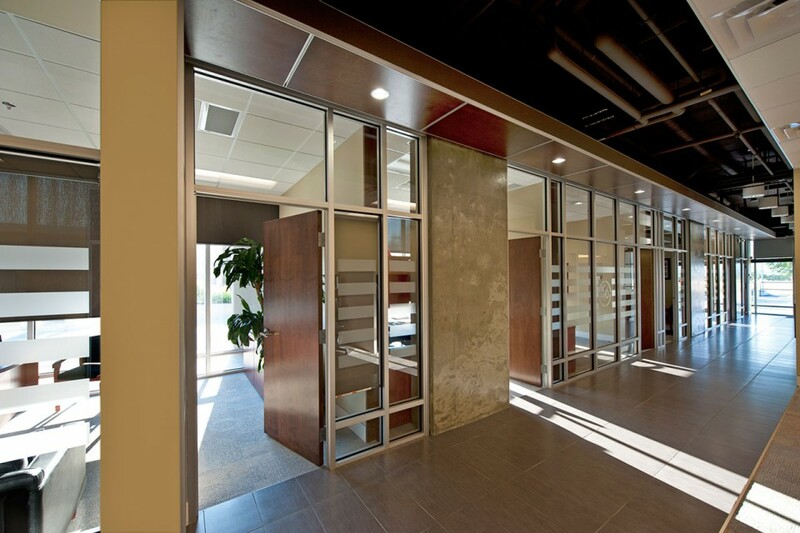 The colour of the exposed concrete columns and the anodized aluminum window frames contrast with the warm ceramic floor tiles and wood surfaces.